Our guide to Los Angeles will help you find the best breweries in Los Angeles California. Celebrities, movie cameras, and persistent paparazzi – these may be the hallmarks of present-day Los Angeles, but the second largest city in the United States has a rich and varied history that extends far beyond the glitter of the silver screen. California dreaming begins with Los Angeles. The sun, the beach, and the winking tinsel of Hollywood remain a permanent lure. Who can resist peeling down Sunset Strip in a convertible? Still, L.A. is a tricky city -- it takes know-how to navigate the sprawling neighborhoods and get into the top clubs. There are tons of great breweries in the city of Los Angeles, our city guide will help you find the best breweries. You may have a hard time deciding what to do in Los Angeles, but we make your decision easy. 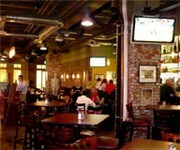 3725 W Sunset Blvd, (323) 660-3645 - Good Microbrew & Grill is a brewpub located in Los Angeles CA. 400 S Western Ave, (213) 388-0061 - Luna is a brewpub located in Los Angeles CA. 6124 Hollywood Blvd, (323) 464-2337 - Blue Palms Brewhouse is a brewpub located in Los Angeles CA. , (213) 622-1125 - Weiland's Brewery Underground is a brewery located in Los Angeles CA. 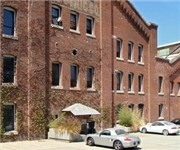 144 W 131st St, (323) 730-5111 - Hite Brewery USA is a brewery located in Los Angeles CA. 2001 S Santa Fe Ave, (213) 244-9626 - Nibble Bit Tabby Brewery is a brewery located in Los Angeles CA. 216 S Alameda St, (213) 622-1261 - Angel City Brewing is a brewery located in Los Angeles CA. 420 S Grand Ave, (323) 730-5111 - Hite Brewery USA is a brewery located in Los Angeles CA. 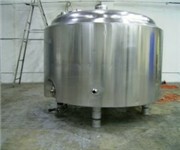 843 E 4th St, (213) 621-0250 - Hakkasian Brewery Co is a brewery located in Los Angeles CA. 5410 San Fernando Rd - Golden Road Brewery is a located in Los Angeles CA. 650 Ave 21, (323) 276-9320 - L A Artcore Brewery Annex is a arts and entertainment located in Los Angeles CA. There are plenty more breweries in Los Angeles. See all breweries in Los Angeles California.